Winner of 8 Emmy Awards. In 1958 New York, Midge Maisel's life is on track- husband, kids, and elegant Yom Kippur dinners in their Upper West Side apartment. 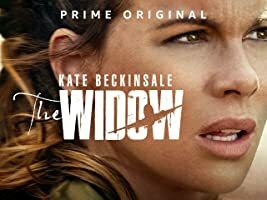 But when her life takes a surprise turn, she has to quickly decide what else she's good at - and going from housewife to stand-up comic is a wild choice to everyone but her. 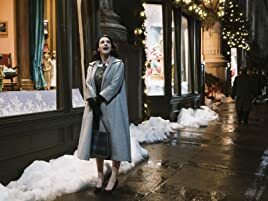 The Marvelous Mrs. Maisel is written and directed by Amy Sherman-Palladino (Gilmore Girls). 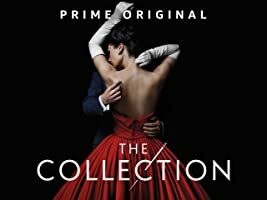 Listen to music from The Marvelous Mrs. Maisel Season 1. 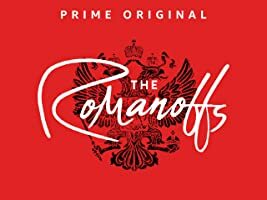 Official soundtrack available now, including songs from Barbra Streisand, Frank Sinatra, and Peggy Lee. Listen Now! In 1958 New York, Midge Maisel's life is on track- husband, kids, and elegant Yom Kippur dinners in their Upper West Side apartment. But when her life takes a surprise turn, she has to quickly decide what else she's good at - and going from housewife to stand-up comic is a wild choice to everyone but her. 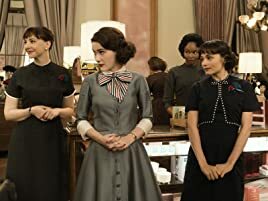 The Marvelous Mrs. Maisel is written and directed by Amy Sherman-Palladino (Gilmore Girls). 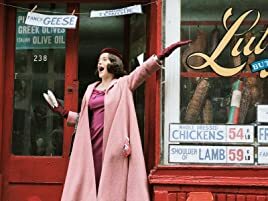 From the Creator of Gilmore Girls, 'The Marvelous Mrs. Maisel' tells the story of Miriam "Midge" Maisel a woman who has everything she's ever wanted-the perfect husband, two kids, and an elegant Upper West Side apartment. 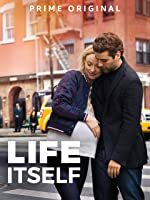 But her perfect life suddenly takes an unexpected turn and Midge discovers a previously unknown talent-one that changes her life forever. 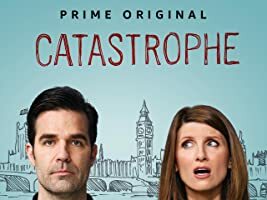 Really fun and interesting show. Set design is amazing and the clothes - to die for! 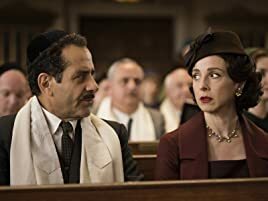 I love Tony Shalhoub, and the rest of the cast is very good. I do take exception to some anachronisms in the script. Yes I was alive in the 50s and I am pretty sure people did not ask "Is that a thing?" or say "It is what it is"...Also, when Midge comes home from her first day of work and takes off her shoes - no stockings! Bare legged was definitely not a thing back then. I believe someone says about a crowd "Are they giving away free pantyhose?" Pantyhose did not become common until the advent of the mini skirt in 1965. Before that most women wore girdles or garter belts with stockings. Still - a fun series and great to experience 50s NYC! Where is the humor? The Jewish stereotypes get old fast. Where is the funny? 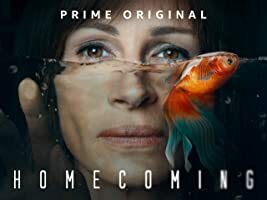 5.0 out of 5 starsAbe, baby, what's happening...you're making a pilot...a 1950's housewife does what? 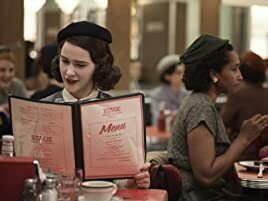 The Marvelous Mrs. Maisel starts out slow and seems too cute at first, but by the time the pilot arrives at its (originally) unexpected conclusion, you'll very much have wanted it to go there. 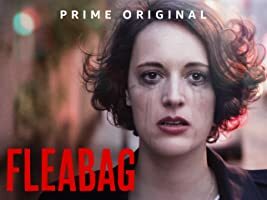 Rachel Brosnahan stars as the title character, an overachieving 1950's woman who breezes through college and settles into that era's "perfect" life: a housewife and mother of two who supports her husband's ambitions. This includes his dream of becoming a stand-up comedian, which he pursues at night after working his well-paying office job during the day. 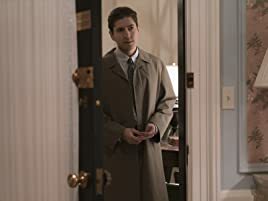 Mrs. Maisel uses her baking skills and personality to help get him better times at the Greenwich Village club they frequent, although he ignores the copious notes she takes on how his act could improve. If his telephone call routine sounds familiar, that's because it is. Brosnahan's character could have easily been off-putting like certain Mary Sues, but we learn she's not perfect despite trying hard to appear so. 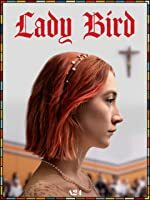 Her charisma and line delivery are so stunning that it's doubtful writer/director Amy Sherman-Palladino (Gilmore Girls) could have imagined a better actress for the part. 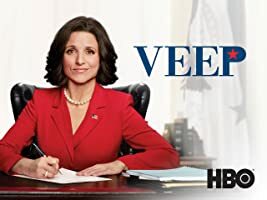 In supporting roles are veteran actor Tony Shalhoub (Wings, Monk) as her father and Alex Borstein (Family Guy) playing a (likely lesbian) bartender who clashes with our hero. While probably doing some scenery chewing, Borstein is strong and creates a memorable character in a part she hasn't really been given before. Having the series get picked up would almost be worthwhile just to see what she could do, although it's much more than just one grumpy character. 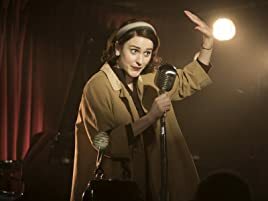 Maybe The Marvelous Mrs. Maisel wouldn't have a long run, but at the very least a season should be made . 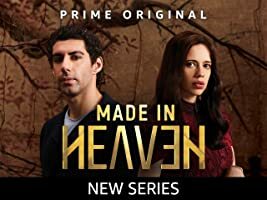 Where the series would go and what it could explore are enticing in a way few pilots are. 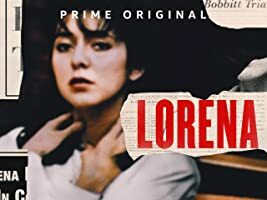 This show isn't just another comment on how misogynistic the '50s were, but offers to explore an often misunderstood art form while demonstrating how hurtful social constructions can be. And how Palladino-Sherman navigates through many potential pitfalls and a destination we know is coming shows strong writing talent, which too many series forget is very important. 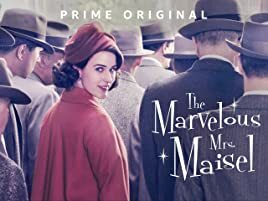 This pilot has the best reviews among the others for a reason: The Marvelous Mrs. Maisel needs to be made. 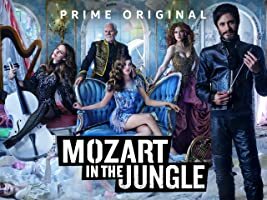 Hopefully the Amazon execs will listen and pick this one up. Until then, enjoy this delightful opening to what should be much more. 5.0 out of 5 starsTwo Words! Rachel Brosnahan! Really? I mean REALLY? You gotta ask us "Hey! Tell us if you think this shows got legs? Worth the time, money and effort to make? Are you kidding me? 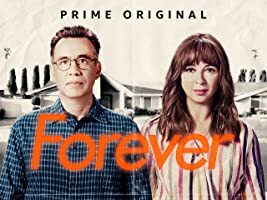 If, whoever is runnin' things over there at Amazon Studios, did not realize that this is set to become an instant and DEE-licious binge watch for everyone who has come to expect the best from you guys, then I say "Fire that blind dope and find someone with a serious funny bone, and a refined palate that can savor the taste of beauty, brains and funny, all rolled up in the gorgeous package that is Rachel Brosnahan!!" Best looking "new" thing from ya'll -EVER! Please don't take too long to deliver the rest of the feast! 5.0 out of 5 starsGive Amy more work I say! 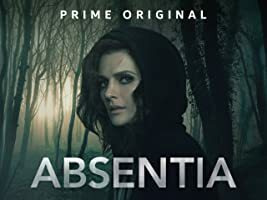 This popped up on my Amazon Prime screen and I didn't even realize it was Amy Sherman-Palladino's (Gilmore Girls) new pilot or it had the wonderful Rachel Brosnahan (House of Cards/Manhattan) in it. Really dug this. 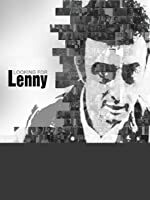 Added bonus is Rectify's Luke Kirby drops by to play Lenny Bruce. 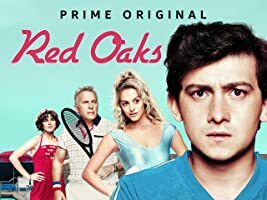 Such a fun promising pilot - MORE PLEASE. 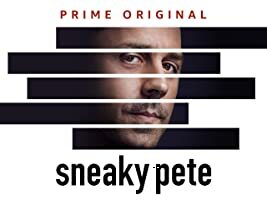 PLEASE order this show, Amazon Prime Video! I wasn't sure what to expect, but it is masterful. 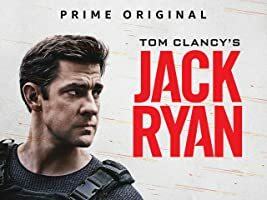 If the pilot is any indication, every aspect was at least solid, some parts brilliant. I loved every moment and cannot wait for the season. The jokes were quick and amusing during the entire show, but once she hits the stage, the laughs come faster and more often. I can't wait to see the rest of this funny, refreshing and very enjoyable program. Abounding in stereotypes, the whole show glosses over real issues of gender, class, and race under the not-so-subtle banner of a very one-dimensional, stereotypical brand of "feminism." While femism has progressed to questions of inter-sectionality, etc. 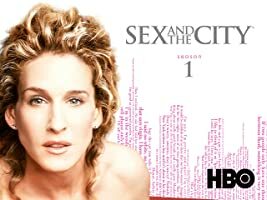 this show invokes the most crudely glaring cliches of early feminism as if inventing them for the first time. 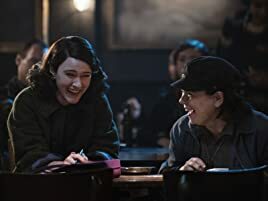 Everything you hated about Palladino's character Rory in Gilmore Girls resurface in Mrs. Maisel with a vengeance - and no hint of self-awareness.